AN INISHOWEN councillor has called on the Council to carry out vital repair works at piers North of the peninsula. Cllr. Martin McDermott (left) said there were a number of smaller piers in need of ‘serious repairs’ in North Inishowen in particular. Speaking at the monthly meeting of the Council in Lifford, Cllr. McDermott called on Donegal County Council to put ‘some money’ towards carrying out these repair works. The Glengad councillor raised the issue after it was revealed that there was no funding available for the projects in the Council’s Capital Programme. Cllr. 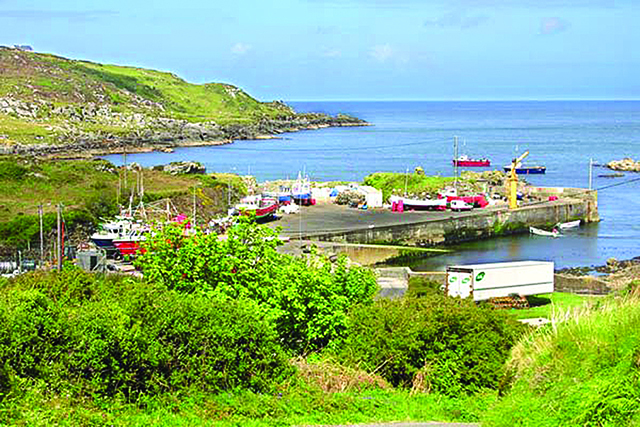 McDermott said Glengad, Malin Head and Leenan Piers are in need of remedial repairs. Cllr. McDermott said the fishing industries in piers such as Malin Head and Glengad have improved slightly over the last while and he said it is important that the Council do everything they can to support these peoples’ livelihoods. Earlier this year, it was announced that Greencastle Pier would receive substantial funding to carry out repairs and for the instillation of permanent pontoons.